Size of Lockers in mm. 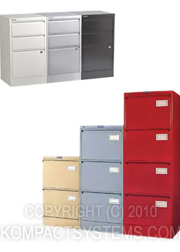 Filing Cabinets with ball bearing suspension detachable cradles and auto locking device. 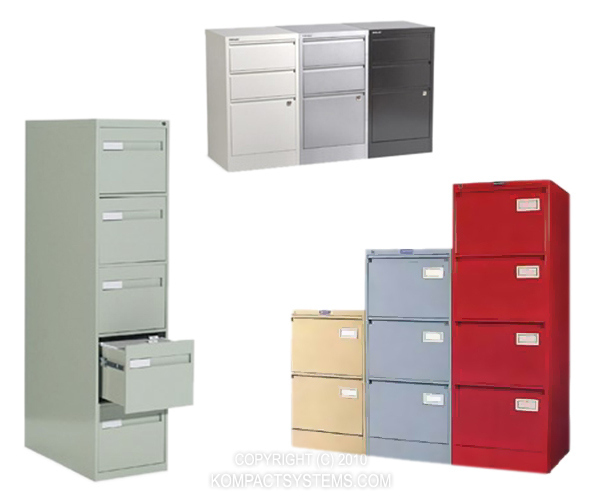 Four, three and two drawer models are available and in powder coated finish.